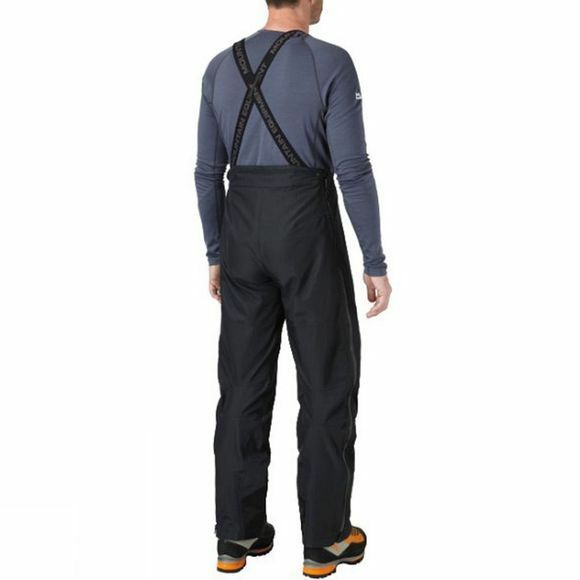 The Men's Karakorum Mountain Pants from Mountain Equipment are tough hardshell pants that continue to be an essential piece of kit for mountain guides and other outdoor professionals. Made with 3 layer Drilite fabric they provide exceptional waterproof protection whilst still being breathable to ensure you stay comfortable in difficult conditions. They are also highly durable to ensure they can withstand the rigours of outdoor activities and the abrasion that can occur on a day to day basis. They have an active fit with articulated knees for full freedom of movement and fully adjustable braces allow a great fit and will stop your pants sliding down. The full length side zips ensure they are easy to get on and off and have inner storm flaps to keep the weather on the outside and the fixed internal gaiters stop anything creeping up the inside of your pant leg. 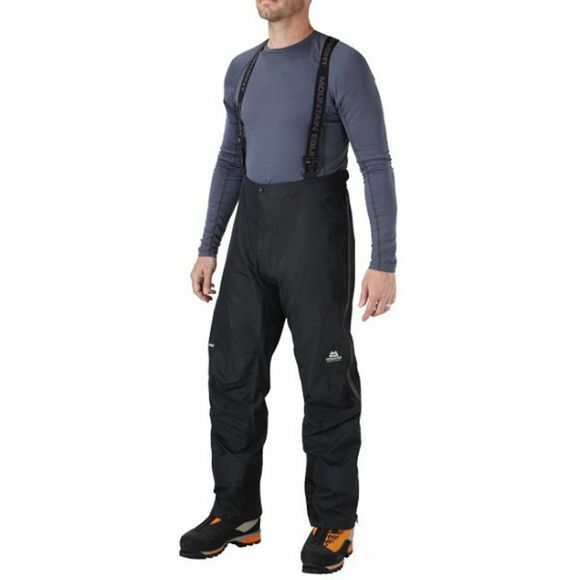 These pants are a great option for those who head outdoors in all but the absolute worst of weather to push their skills in mountainous terrain.